If you own a LG G4, then definitely you are not alien to Android operating system. Rooting an Android phone is what opens the full world of Android to your device. The phone will never be fully optimized unless you root it. Google might not tell you this, but Android phones are always locked out of special features such as some latest apps. With the phone manufacturer blaming this on “compatibility” issues, new features such as Photosphere and faster performance are also inhibited by default. If you want to enjoy all these blocked features, rooting G4 should be something you should seriously considering. With a rooted LG Android phone, you can access free Wi-Fi, have a longer battery life and install custom ROMS which allow you to install the latest Android versions, even before they are released officially. You can also have access to more apps and blocked features once you root your Android device. Different devices may be rooted differently, which is the more reason why not all rooting trials will succeed. There are so many counterfeit and untrustworthy sites out there claiming that they can root your Android phone, only turns out to brick it. You need a trusted rooting app that understands the type of device you have and how best to root it. If you want to avoid all this hassle, AnyRooter is software I would advise you to use. 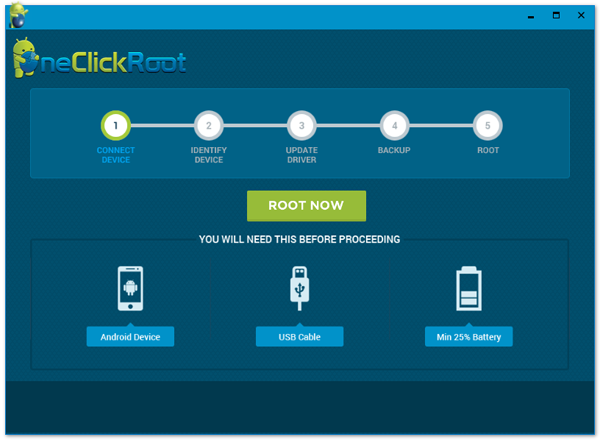 Root any Android phone in 1-click. Over 95% success rate on rooting, DOES NOT void warranty. Fully rootable from Andorid 2.0 to Android 6.0 . Work on both Windows and Mac OS X . There is no rooting method for 100% success rate. We all know data is more valuable than the phone itself. So in case of any unexpected situation, it’s highly recommend backing up your phone before rooting. Backup guide is here. Developer Options is hidden by default since Android Jelly Bean. You have to turn it on to access more advanced features. Go to Settings > About phone > Software info, then tap Build number 7 times. This will enable the developer options. From there, switch USB debugging on. 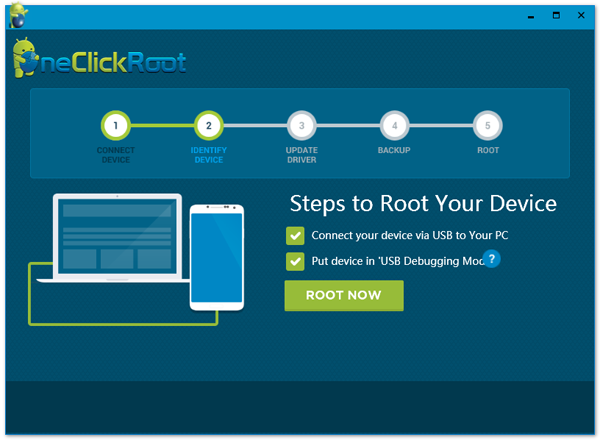 The rooting app requires your phone being connected to a computer, so plug your phone into a computer with the usb cable. Connect your LG G4 to the computer by using USB cable. When the phone is plugged, the computer and AnyRooter should recognize your device. If it was the first tine connected to the computer, then you should install Android USB driver before going to the next step. When your phone being recognized, AnyRooter starts to scan and analyze the whole device . If possible, it will make a backup for important content and settings. After this is done, click Root Now on the main screen to start the rooting process. It takes less then 15 minutes to successfully root my LG G4. A message pops up when rooting is done successfully. Once The G4 has been rooted successfully, the new Android world will unveil itself to you. If it happens that your device did not respond appropriately to the rooting process, AnyRooter offers 24/7 technical supports to fix your device and ensure you do not go at a data loss. If all fails, AnyRooter guarantees full money refund. However, with their highly skilled technical staff, data loss during the rooting process is a less likely occurred. The full Android world is only one-click away.